Is UNESCO threatening to pull Egypt sites from world heritage list? 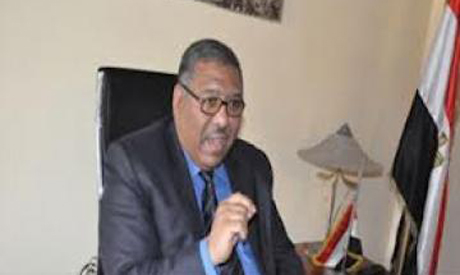 Facing anger from Egyptologists, a surprised Minister of State for Antiquities Ahmed Eissa clarifies to Ahram Online that UNESCO is not actually threatening to remove six Egyptian archaeological sites from the World Heritage List (WHL). On Monday night, hours after a meeting at the Culture and Antiquities Committee (CAC) at parliament headquarters, newspapers and websites published their usual summary of the goings-on. They reported that the newly-appointed minister, Eissa, told CAC members that because of a scarcity of experts in managing Egyptian sites, the United Nations Economic Scientific Cultural Organisation (UNESCO) threatened to declassify the Giza Plateau, Karnak Temples in Luxor, Saint Catherine and Saint Mina Monasteries, Historic Cairo and Abu Simbel Temples from the WHL. Egyptologists scowled that this reveals the "flawed integrity of the government, which lacks the attention and awareness of Egypt’s archaeological sites." However, when Ahram Online asked Minister Eissa directly on the causes behind the UNESCO threat and what could be done to spruce up and maintain these archaeological sites to keep them on the list, he replied, astonished: "What was published in media is not accurate." "We have six archaeological sites on UNESCO’s WHL and UNESCO asked the Ministry of State of Antiquities (MSA) to deal properly with these sites so as to not come under threat of removal from the WHL." The Antiquities Affairs ministry office Director General Mohamed Hamada confirms to Ahram Online that Minister Eissa revealed to all CAC members that the MSA is about to execute a plan to develop the professional skills and integrity of its curators, inspectors, archaeologists and restorers in accordance with all UNESCO regulations and so as to comply with all signed agreements. Hamada also claims the MSA will ask UNESCO to add more Egyptian sites to the WHL. During the CAC meeting Eissa urged members to allocate a larger budget to the MSA in order to restore the decaying royal and noble mummies, to protect Egypt’s heritage and monuments and to develop the Egyptian museum in Tahrir Square. Specifically, poor outdoor lighting systems and lamps make the security control cameras ineffectual, making the treasures of the Egyptian museum vulnerable to looters. In fact, the wall surrounding the property should be added onto because thieves have tried to scale the wall into the museum, who were, thankfully, caught by police. As usual there is no transparency in this regime, it is so obvious that there is such a threat, as standards have fallen so much at these World Heritage sites, in fact in most tourism sites. Even if we were not threatened by removal telling us to 'get our act together' is quite bad enough, thank you! What a total disgrace, Egypt does not deserve to be custodian of such wonders, and it would have been an excellent idea to rent these sites to professionals with the necessary expertise to protect them, and possibly do some promotion to lure the much needed tourists back to Egypt, if we have insecurity combined by poor management of these sites, tourists will not pay to come to Egypt to see this deterioration. Really it is such a shame!